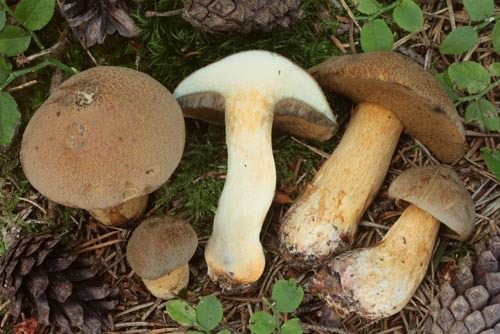 Cap up to 10 cm, at first hemispherical then expanding to convex, yellowish ochraceous, ochraceous or yellowish brown, usually dry, velvety or finely scaly. 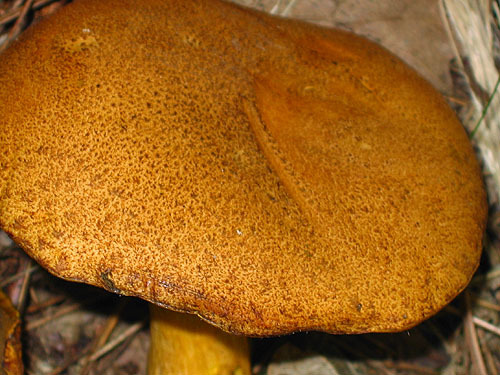 Stipe, cylindrical or slightly swollen at the base, more or less concolorous with the cap. 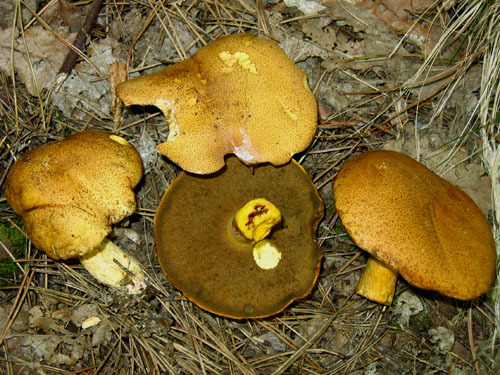 Flesh yellowish in the cap and with pronounced dirty orange tint in the stipe, blueing in the cap, mostly above the tubes. Tubes dirty yellowish then mustard coloured. Pores small, rounded, mustard coloured. Smell not distinctive. Taste acid. 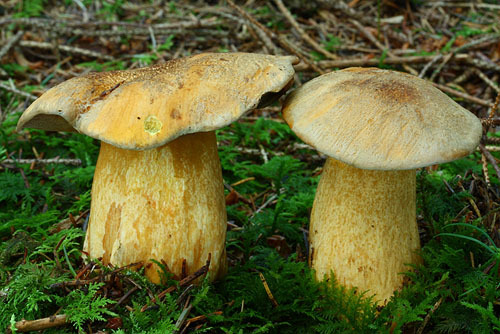 Spores 8–11 × 3–4 μm. Habitat. Coniferous forests, but also in artificial plantations, mycorrhizal with pines (Pinus). Similarity. 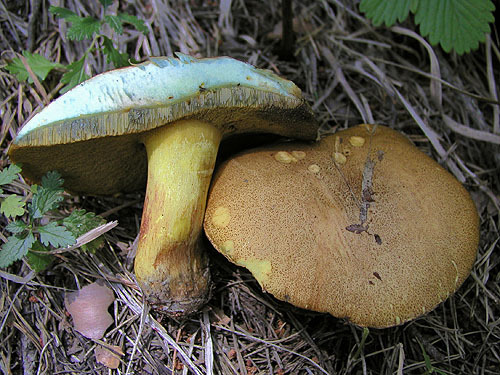 The only European Suillus with blueing flesh if one does not count the alien Suillus lakei, which grows under Douglas’ fir (Pseudotsuga) and has partial veil which leaves distinct ring on the stipe after disruption. 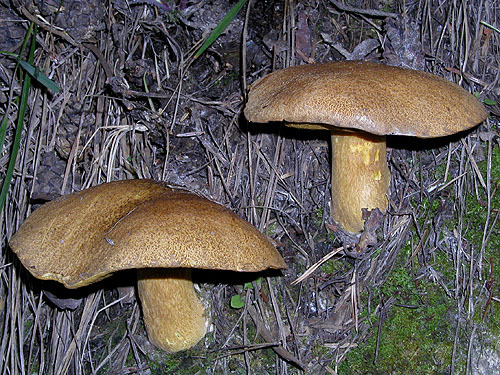 Confusion is probably possible with Suillus plorans which has usually darker cap, dotted stem, unchanging flesh and grows under five-needled pines only.